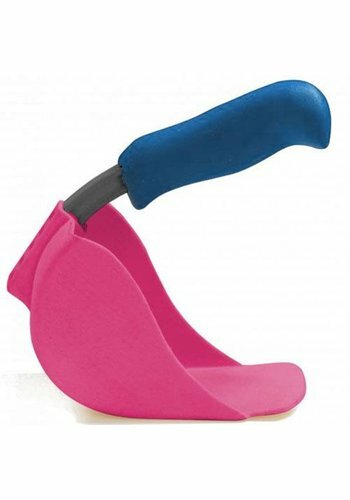 The shovel 'Alina' from Lepale is ideal for toys in the sandbox, the water table, the vegetable garden at school and childcare. Choose this combination action with all cheerful colors twice and count as never before! 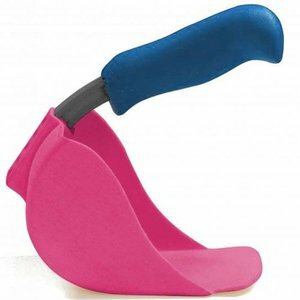 The design of the Lepal shovel makes scooping, digging and raking suddenly feel like a natural extension of the arm! More pleasant and effective than with regular scoops. A unique and unbreakable design that works many times more logically than other scoops. And you get no less than 3 years warranty , because they are sturdy, those little kids 'dredging' shovels. Ideal for the rest in the sandbox and the water table or the vegetable garden. Because this shovel is incredibly versatile! Instead of pushing the sand away from you, as with a normal shovel, and the risk that all is under sand, you pull everything you want to brag or rake now to you. More convenient and comfortable for small children who still develop their motor skills, and more effectively during play. The shovel is nice and deep, so a lot can be done. Sand, mud, but also water can easily be transferred or transported with it. Or collect shells, pebbles, plants or creatures. This shovel can handle more than one blow! In this set of every Lepal Alina shovel color there are no less than 2 pieces in it; 12 in total.